Jaxonbilt Custom Hats Where "Image is Everything! 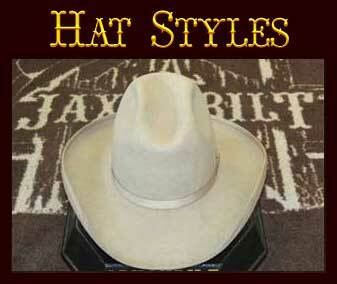 "Jaxonbilt Hat Company offers quality, custom handcrafted hats. Each and every hat is custom made from start to finish. When it comes to quality beaver felt hats, from a working western ranch style, to a gentleman's fedora, we take no short cuts. Every hat is made to order, ONE AT A TIME! View our custom western and cowboy hats, then give us a call. We will talk to you first hand to create your personal hat. 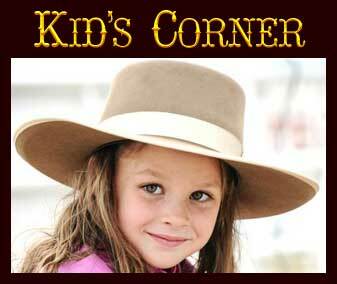 When you want to wear a cowgirl hat with a bit more of a feminine touch, check out JB's Occasional cowgirl hats. 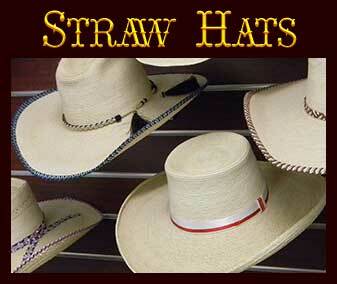 We carry a complete line of straw hats and palm hats. There is no doubt you will enjoy wearing these very fine straws. At Jaxonbilt Hats we carry stock hats and can make a felt hat or straw hat especially for your pride and joy! 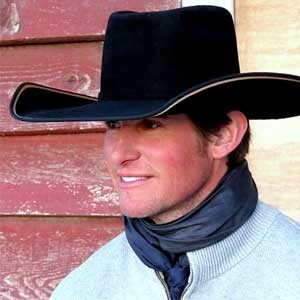 We build custom cowboy hats, western movie hats, cowboy action shooting hats and western re-enactment hats. Hand painting, rhinestones, custom hat bands and more. Let your personality shine with Jaxonbilt custom hat styling options! 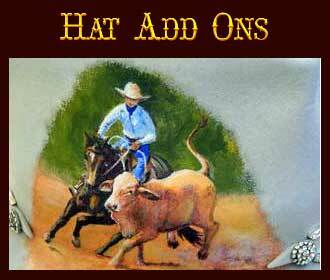 The Master Hatters at Jaxonbilt Hat Company build high quality custom hats made for the cowboy or cowgirl in you. Our custom hats are designed especially to fit you and your personality. Our flair for design and extreme attention to quality, detail, and fit makes for very happy clients and we are extremely thankful they entrust Jaxonbilt Hats for their repeat custom hat orders and hat restoration requests. We offer quality, handcrafted custom hats. Each and every hat is custom made from start to finish. When it comes to quality beaver felt hats we take no short cuts. 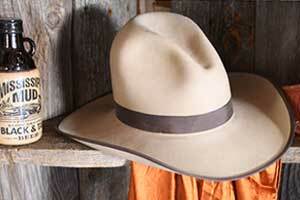 From a working western ranch style hat, to a gentleman’s custom fedora, every hat is made to order, ONE AT A TIME! Whether you are a traditionalist, working cowboy, cowgirl or a dude, and you want a custom hat that fits and looks good, JAXONBILT HAT Co can design the custom hat with the perfect fit for you. “Image is Everything” at Jaxonbilt Hats! Fit is important – With each custom order request we ship to you our Original Hat Conformer Kit. It’s simple to use, just slip it over your head, and adjust to fit. Mail the conformer kit back to Jaxonbilt Hats where we will use this to build your custom hat to fit you perfectly. Don’t worry… if on the rare occasion your hat doesn’t fit perfectly, we will adjust the hat! Roy Jackson is an “old world” craftsman in a modern world! 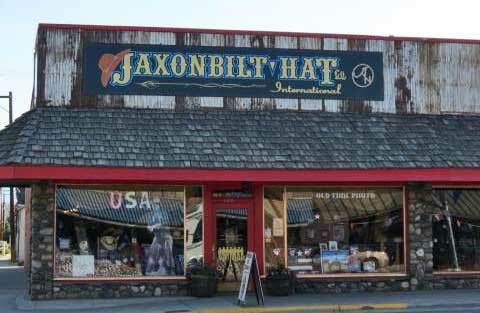 If you want the best … go west to JAXONBILT HAT COMPANY! Thank you Roy for my “Tom Horn” hat. Best ever! Ladies we think you are going to love JB’s Occasional Cowgirl Hats collection designed for both a true cowgirl and for women who just occasionally want to be cowgirl! When designing a JB’s Occasional Cowgirl Hat, our in-house Master Hatters listens to your wishes and adds their creativity to design the perfect cowgirl hat with style just for you! Just some of the materials used in styling these custom cowgirl hats include ribbons, gem stones, Swarovski crystals, rhinestones, beads, leather, hand painting, burnishing and jewelry. Get inspiration for your very own JB’s Occasional Cowgirl hat from cowgirl felt fur hats to cowgirl straw hats collection. Creating authentic western movie hats, cowboy action shooting hats and hats for western re-enactment has long been a specialty with us. We’ve helped create many characters for Cowboy Action Shooting and Western Re-enactors. Browse through our Custom Movie Hat collection of re-created cowboy hats from the most famous western movies. 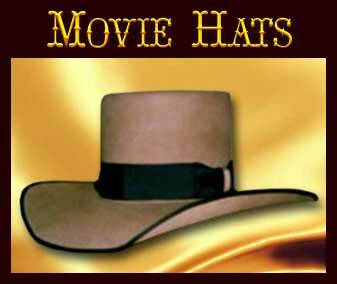 Pick from the selection of celebrity cowboy hats or have us build the hat you liked in your favorite western film. We also carry a complete line of straw hats, and have a large selection of fine Palm Leaf straw hats, including JAXONBILT’S own “Horse Trough Hats”. Our Palm Leaf Hats are high quality, pressed and sanded with 2″ comfort leather sweat bands. There is no doubt you will enjoy wearing these very fine straw hats. Choose from classic stock straw hats or add your unique style with our custom straw hats made from our classic Horse Trough Hats where we custom shape and accessorize your custom hat to fit your style! We are a full service Salmon Idaho custom hat shop proudly located in Salmon River Country where the Old West values are alive and well. Stop in and visit our retail shop when you are in the area. The shop is not only a point of interest, but a point of destination. We are happy to direct you to other areas of interests and outfitters and guides to enhance your visit in Salmon Idaho. Your satisfaction is ALWAYS GUARANTEED, and the same careful attention is provided for our full hat Restoration Services. The conformer kit comes with the conformer itself and easy to follow instructions. The kit will give us not only your head size, but also your head shape. From this information we build a retainer which represents your head. During the building process we have the your “head shape” in the hat. The hat arrives with your “head shape” in the hat in the form of the retainer.